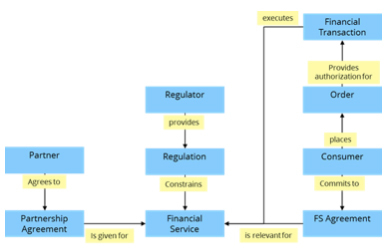 This is the eighth article in my Business Architecture Essentials series. Having covered several topics relating to business architecture in previous Columns, it is time to deal with the question of how we can measure what we have defined. How can we tell if our Business Model is working? How do we know if our Operating model choices were good ones? Are our resources being well used? Do we have the culture we strive for? How can I know what's working and what's not? Which of the landscape domains (Figure 1) are measurable? Which are worth measuring? Defining a connected measurement framework makes sense now that we have things to measure and we can connect them in a traceable way. We now know the external opportunities and threats, the needs and expectations of the business external stakeholders, the ends and means of the strategy of the business value chains and the aspirations we are striving for in the North Star target. We also know which value creating business processes we have to manage and which capabilities need to be in place to do so. In our strategy and process design work we should also have articulated what behaviours and cultural attributes we deem desirable or critical to attain our harder goals. So what kind of measurement information do we need to make the decisions that must be made in the remaining work of architecture development, in change resource allocation and day to day business operations? What do we need to know in order to manage? Measurement enables the business nervous system to function and keeps all work on track so long as the measurement data is accurate, timely and trustworthy, and is used. This requires us to have high quality performance indicators. Following the concept of 'SMART' objectives, good measures have the following characteristics. None of these has a performance indicator in it. These are goals to be attained but not measurable without some interpretation and determination of how we will know that we are getting there. We need a unit of measure for which we can gather data. What could we use to achieve these goals? We want to improve our reliability as measured by the percentage of orders that are perfectly executed (right product delivered to the right place, at the agreed time, for the agreed price, paid on time). We aim to increase customer satisfaction as measured by net promoter score. We need to get better staff loyalty as measured by annual turnover percentage of employees. According to the Business Motivation Model from OMG these goals are getting closer to becoming objectives and we will have accomplished that by adding a target and a timeframe. We want to improve our reliability as measured by the percentage of orders that are perfectly executed (right product delivered to the right place, at the agreed time, for the agreed price, paid on time) to 95% within one year. We aim to increase customer satisfaction as measured by increasing net promoter score by 10 points in eighteen months. We need to get improved staff loyalty as measured by decreasing annual turnover percentage of employees to 8% by the end of the calendar year. By structuring measures well we now have is a set of indicators that can be evaluated periodically to monitor progress against our business and personal targets. Please note that a Key Performance Indicator (KPI) does not exist in its own right. It is always associated with something else as an attribute so the structure of the measurement system typically will follow some other structure we may have already figured out, such as our process hierarchy which we feel is a good choice. attributes about each such as the size of the branch office, the longevity of tenure of staff, how old is each brand and model of mobile devices we have. One tool that can help us with this is the Concept Model (Figure 2) that we used to determine information, capabilities and processes as described in previous Columns. If we look at every box (noun=thing) there is the potential of having a count for all of them if we feel it will be useful to someone to be able make a management decision about it. Please note that I am not assuming that these decisions are managers' decisions but are decisions required to be able manage regardless of who makes them. Organizational structure is irrelevant to what you need to know at this point. Looking at every direct link in the concept model between concepts will allow us to question whether or not there is some associative measure of importance to the decision making or execution of the business. Number of orders received by consumer category by and the total dollar amount for the category per month. Again the usefulness of the performance indicator is gauged by how well it informs those who need to know in order to act and change something about how work is performed. So far, I have delved into the easy part of measurement; counting and comparing the things and associations that are discrete and for which data is more readily available as a bi-product of doing the work as long as we have the capture mechanism or can derive it from our work mechanisms such as IT systems. Now the hard part which where the soft part comes in. With the unrelenting push toward customer focus comes the question 'how do we know how they feel about us?' Customer journey mapping, customer satisfaction surveys and the drive to customer experience improvement are all aspects of this phenomenon. In an earlier Column, I discussed the issue of stakeholder expectations of value and the fact that great experience in terms of how things were being done was not so useful if the main value delivered through the product or service was not up to par. For example the staff were nice but sold us the wrong product. We have to evaluate both factors in light of the customer expectation. The challenge is that the expectation may be easily met if you do not expect much in the first place. A great example of this is seen in hotel ratings listed online by various travel sites. The super high end hotels often do not get the best ratings because the expectation of visitors to the hotel anticipated perfection because of the high price they paid. In the same survey ranking list, you will often see much lower priced hotels with great ratings because no one expected the features and services of a five star property in a two star hotel that was one quarter of the price. Comparables here are much harder to rationalize. Nonetheless, we can still evaluate the satisfaction level and the experience perception of the external stakeholder. If this can be captured through counts and associations that may be the best we can do. Sometimes proxy measures are an easier way to judge this factor. For example can we trust that easily measurable indicators of repeat business is a good indicator of satisfaction or should we ask or do both? Part 2 of Measuring Performance will be published in the October Update.